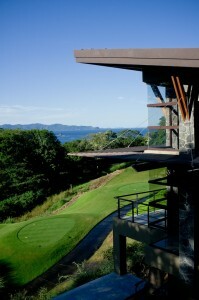 For 7 years Sarco Architects has designed and built custom luxury homes for foreign clients in Costa Rica. They have now developed a fully interactive project communication hub to provide an enhanced management experience for their clients who are having a vacation home built in Costa Rica and Panama. Costa Rica luxury design-build firm offers new easy to use client communication hub. After 7 years of creating high-end luxury homes in Costa Rica for their foreign clients, Sarco Architects has developed a system of overall project management, communication and service that provides an enhanced and pleasurable experience for anyone who needs to facilitate the building process from abroad. Costa Rica has become a very attractive vacation destination for many foreigners who enjoy visiting exotic ecotourism destinations and experiencing nature. Many become swept away by the beauty of the country and decide to have a custom vacation home built for themselves. Panama is also becoming an attractive place to build luxury vacation homes because of government incentives, lower tax rates, and a large expat community. Specializing in these areas, Sarco Architects is a major design-build firm serving clients across the globe. Costa Rican architectural firm Sarco Architects is concentrated in building high-end luxury homes for North American and European clients, and has recently made significant changes and improvements within their operations so they can better serve these types of clients. Many of these improvements leverage recent web-based cloud services to create a communication and work environment which keeps clients fully involved, informed and engaged in their projects without having to be there. Part of this initiative came from the realization that everyone is flooded with email and when someone is involved in a building project that goes on for months it’s possible for important messages to get lost and even overlooked. The goal of this idea was to create a better customer service experience for their clients, which allows Sarco to focus on creating architectural masterpieces unsurpassed anywhere else in the world. Another part of this strategy is Sarco’s use of advanced 3D modeling and visualization tools, which allows their clients to view fully interactive 3D walkthroughs and realistic renderings. This allows them to see Sarco Architects’ vision for their projects. At the same time, Sarco realizes that information security and discretion is of the utmost importance. All of their web-based tools and services are on secure sites. Client privacy and information control is a high priority for them and each clients’ data and project information is private and accessible only to the owner and the team directly involved in the project. Sarco Architects is a full-service architectural design-build firm dedicated to the design and construction of the finest and most well designed and resolved luxury homes in Costa Rica. Sarco is driven by a desire to always be at the forefront of technology and its application to their architectural designs and their services, and to provide the best solution for architectural services oriented at foreign clients in Costa Rica and Panama.